Andreas "bds" Thorstensson, Managing Director and part owner of SK Gaming, will be leaving his role within the company to pursue other challenges. bds will remain a share holder of SK and develop the SK-gaming.com website via Geekboys. The near future will see him undertaking high level website development with Geekboys and creating his own projects, such as collected.info which is soon to be released. "When I first joined that Counter-Strike server back in 1999 with my friend korven I never could have realised that 10 years later I would be in the situation I am right now. Running a real company with offices in two cities, having full time employees, full time professional gamers, real fans in many countries around the world, and a web site that attracts over a million unique users per month. Esports have gone from nothing to almost mainstream. I am very happy to have been part of this journey. Everything must grow and change though, and personally I feel I need a new challenge in my life. Thanks to everyone who has made this possible. Thanks to everyone I ever worked with, played with, competed with, competed against and had beers with. I will miss you all, and I appreciate all the excellent times we had together. I will always remain SK's biggest fan and supporter..."
bds began his CS career at the top as his Geekboys team won CS-League in 1999 and dominated the Clanbase international ladder, winning 44 games without a loss. After some time playing Quake 3 bds returned to competing, this time as a player at a level best described as semi-elite. 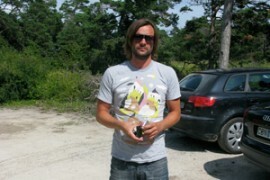 His team, Geekboys, won the first Clanbase Open cup and became the Scandinavian division of SK. This was significant as at the time SK was only known for its German teams, largely its Quakeworld and Quake 3 teams. As SK.sca the team bootcamped with the legendary Ninjas in Pyjamas (featuring HeatoN, Potti and ahl) for CPL Winter 2001. At the event, which was the most competitive event in CS history to that point and the first truly stacked field, SK.sca took 9th-12th. bds also captained the Swedish national team to victory in the first Clanbase Nations Cup, defeating Norway along the way and Germany in the final. Switching to the role of manager for the team bds' SK.sca team attended CPL Cologne in 2002 where they placed 3rd behind Nordic Division and aAa. In their consolation final match against the French aAa team SK.sca were down on cbble 3-12 (in mr12) and at game point but won the remaining nine rounds to force overtime. After an epic multiple overtime session the French team came out on top. After the event NiP split up due to sponsorship issues and suddenly the premiere CS players in the world were free agents on the market. bds was in the right place at the right time and brought HeatoN, Potti and XeqtR over from NiP along with DarK, who had played with XeqtR at CPL Cologne. This team, along with xenon from the previous SK.sca, would mark the next generation of the non-German SK CS teams. At CPL Summer 2002 they took what would be the first of many major SK CPL titles, with others following at Summer 2003, Winter 2003, Summer 2005 and Winter 2005. The Swedish SK sides also won CPL Cannes and Copenhagen in 2003 and gold medals at the WCG. During this period bds was a seemingly permanent fixture behind the team ensuring things ran smoothly and shouting words of encouragement. As a manager bds set up the first contracts and the first salaried playing positions for non-Korean professional gamers. A programmer for Spray.se bds was involved in coding the XSReality (later to become ESReality) websites which were amongst the firstly truly professional Esports websites with paid staff, content from professional gamers and sponsorships to attend events. His involvement ran even deeper with the cs.xsreality.com subsite which he penned some articles for and helped acquire POV demos of top level players for, something which was no mean feat in that era. 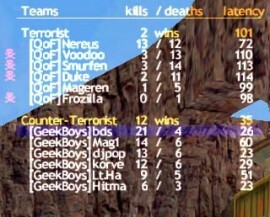 Following the initial death of XSReality, thanks in part to the burst of the dot com bubble in 2000 and the CPL discarding Quake 3, bds developed his geekboys.org website into a fully functional community site. Geekboys offered large scale functionality the likes of which had not been seen in Esports to that point, with anyone able to create a profile. So many players and fans had profiles that the site became a veritable Counter-Strike phonebook or a kind of Esports myspace. The site used a classic BBS style layout where every aspect of the design was made up of characters. Once again a key focal point of interest for fans with Geekboys, just as it had been with XSReality, was the pro gamer related content such as bds' "NiP: behind the nicks" interview with the CPL champions and the archive of exclusive POV demos. When his involvement with SK deepened bds stepped away from the website as it became sogamed and was handed over to MrKill and G3X, in whose hands it did not thrive for long. Over at SK bds set about transforming their website from merely a clan website into a hybrid of a professional team website and community site of the kind Geekboys was. One of bds' earliest moments of fame came as the creator of the Geekplay demo players, which allowed the user to play demos for Quake 3 and CS by simply double clicking on the file. By the project had reached Geekplay 3.2 it had the full capability to play old demo formats for CS, with demos from previous versions no longer working when played via the console alone anymore. Geekplay eventually became rebranded as SKplayer where it remained the premiere demo player essentially until the release of the coLdemoplayer in the last year or so. In the early days of competitive CS bds released an article on cs.xsreality which tried to shed some light upon the netcode of CS and the various commands which could be used to manipulate it. A revisted exploration came in December of 2001 as bds provided the first accurate descriptions of how the typical competitive player could use the cmdrate, updaterate, rate and interp commands to get the most out of his internet connection. These figures of 25k, 101 and 101 respectively still remain the standard to this day though many may not realize their origins. What was also significant is that this public explanation led to the CPL adopting appropriate changes to competitive configs. 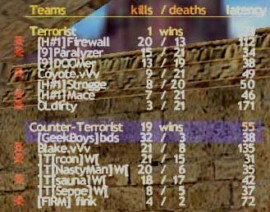 At CPL Winter 2001 teams had been forced to play with the default cmdrate and updaterate settings, which had severely limited the quality of the actual LAN play. A final installment of netcode explanation came in 2003 to layout the changes in moving to version 1.6. In 2002 bds kickstarted the compilation CS frag movie genre with 'frag or die', featuring the likes of HeatoN and ksharp. The movie went on to be downloaded well over 1,000,000 times. This was the first time anyone had attempted to make a movie of a whole collection of the best players in the world, specifically soliciting unreleased POV footage from some of them. 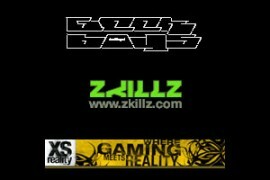 bds was also behind the Zkillz project in 2001 which was a mod where players had their skill rating calculated by a number of factors based on their play in servers running the mod. Server admins could then set a minimum skill rating figure and any players who did not match up to it were unable to join the server. This project, while bds' involvement was not long term, allowed tiering of CS servers so that elite level players could play with other skilled players. Back in that era CS servers were notoriously varied in the skill level of players within them, though mainly on the lower end of the skill spectrum. What's more the higher skilled servers would often be packed meaning a top player would have to wait to join. This system allowed players to avoid wasting their time practicing against people who couldn't move through windows at a reasonable speed or used tmps religiously. It also allowed less skilled players some breathing room as the better players would in theory be off playing in their own servers.